Guaranteed expert care from our Berkeley Brake Repair Specialists! 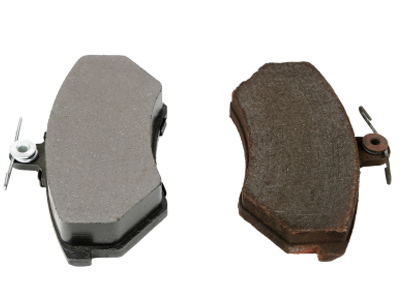 Brakes, steering and tires are the most critical components of your car concerning your safety. When we do our brake inspection at Ackerman's we start with a test drive around town and on the freeway because thoroughness is what you expect and we deliver ! We pay attention to things like; pedal feel - hard ? soft ? does it sink ? Vibrations at high speed or just as you come to a stop ? Once back to the shop with car on the hoist we check brake fluid level and condition, brake pad thickness, brake rotors for excess wear, are the pads worn evenly ? We check the hydraulic hoses for cracks - on some models these can mean the difference between sudden brake failure and driving a safe car ! We'll also keep an eye out for leaks, noises, ABS light, and of course the hand brake function. Whether you drive hard or just around town, you and your family's safety is our utmost concern. So call your neighborhood Berkeley Brake Repair Station - Ackerman's, for answers on your brake repair!